Well between waiting for things to dry and come in for the Bond Funeral Home build we are doing for Don Klose, we have another project going on. 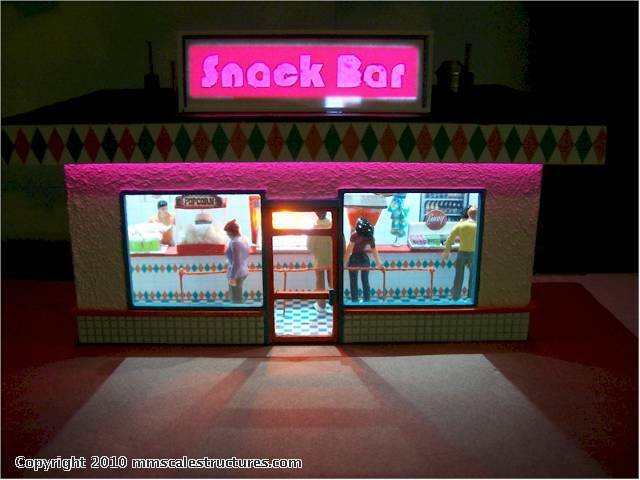 The Starlite Drive-In Theare Project is a build we are doing for a customer in Ohio. He has a centain footprint we have to work with and need to get all the major elements of a drive-in in it. 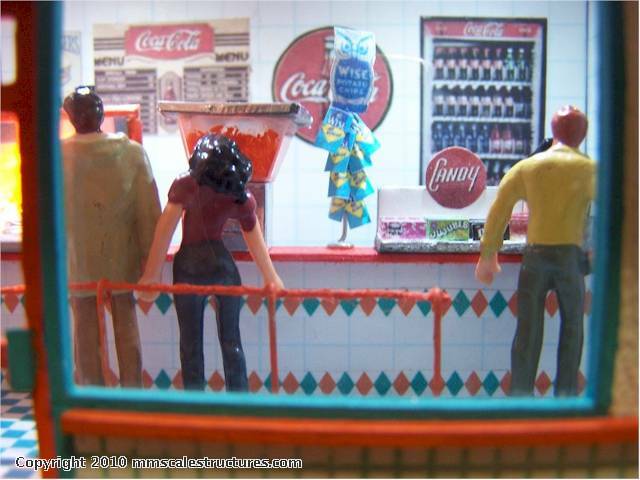 Plus making it into a 1950's and 60's era Drive-In, we have to make it coorful and bright where it needs to be. 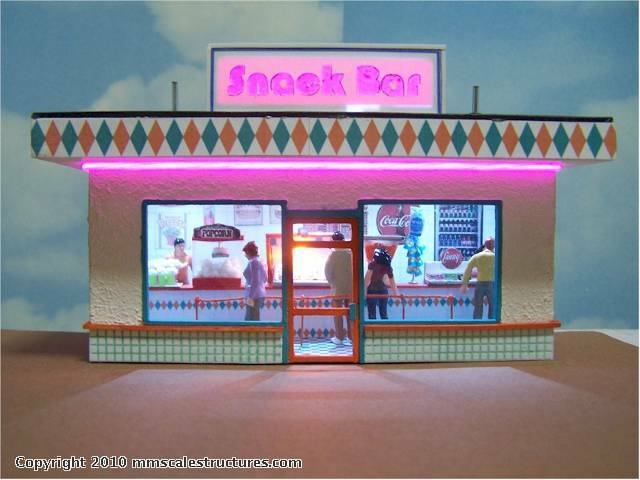 the first part of the build is the Snack Bar. Based on the design of a couple of old North Jersey Drive-Ins, The building had to be eyecatching but subdued enough for a drive-in. 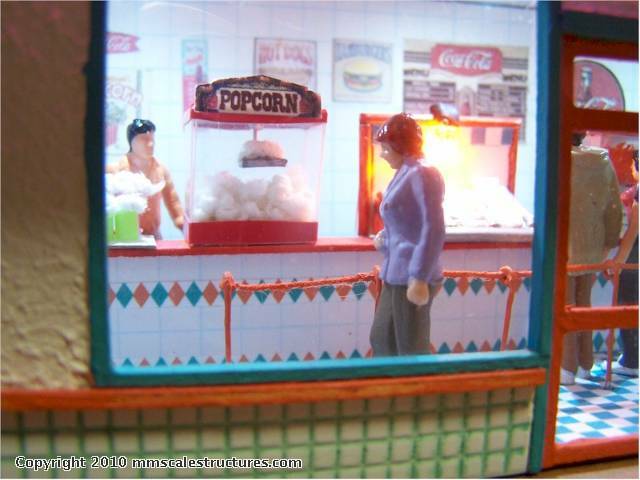 It is a classic drive-in snack exterior in stucco and tile with green & orange diamond pattern banding. 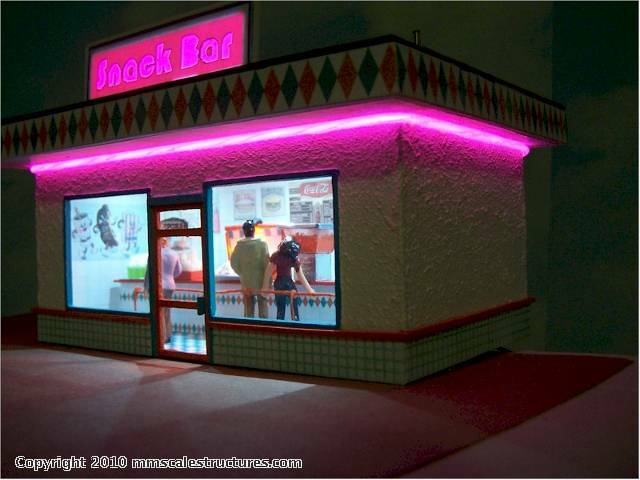 It features a full interior with snack counter . 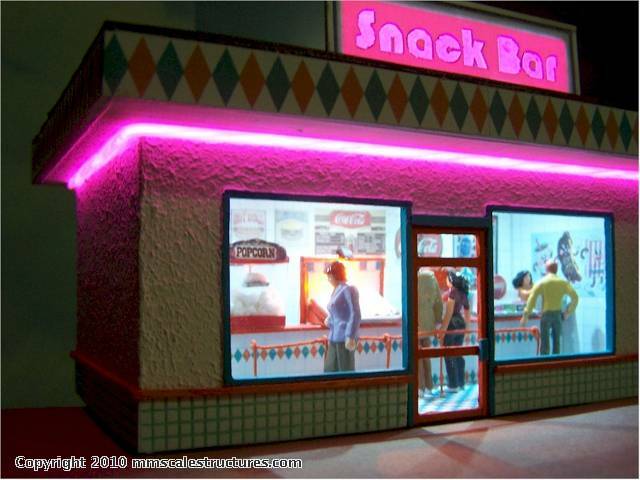 The counters has a cotton candy maching, popcorn machine, hot food warmer with light, candy display, punch machine and register.